From M-45, travel four miles north on 104th Avenue then east on North Cedar Drive to the entrance. *Barrier free facilities include the picnic shelter, boat launch, fishing dock and toilets. This map shows amenities, parking areas, features and trails. 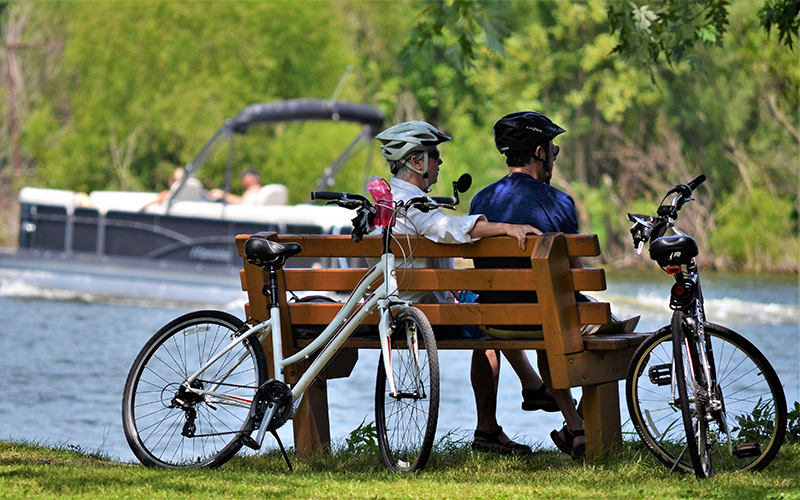 With nearly one mile of frontage along the south bank of the Grand River, this 64 acre park is the perfect place for picnicking, boating or fishing. 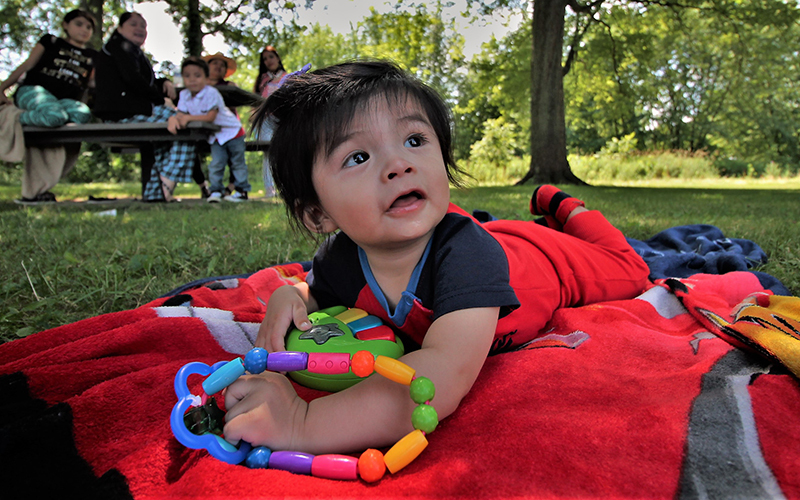 The park includes a boat launch (fee required), picnic shelter, large pond with a barrier free fishing dock and over 1,000 feet of grassy picnic area along the riverbank. Fishing is allowed along the riverbank and from the edge of the pond. 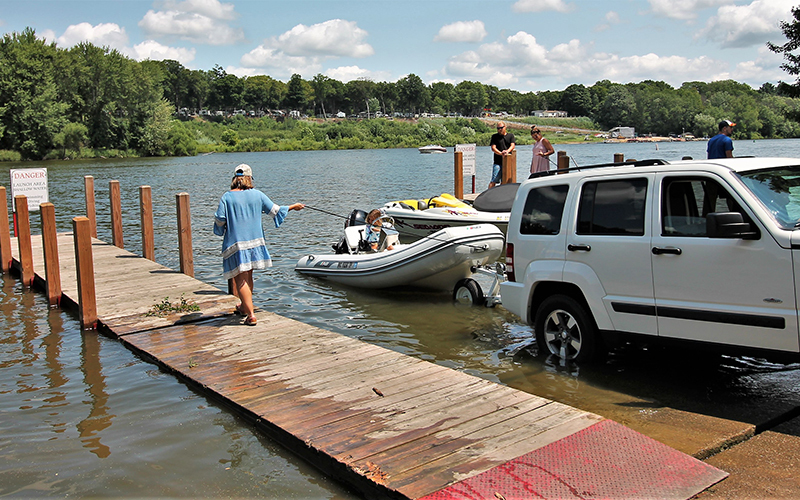 An annual motor vehicle permit is required at the Riverside Park boat launch Memorial Day weekend through Labor Day (strictly enforced). Annual permits may be purchased at the Oaklea Store (near Riverside Park) May through August. They can also be purchased from lakeshore park entrance gates when fees are in effect (limited annual permit sales available at Rosy Mound and Olive Shores), at the Nature Center, or from the county parks office. Dogs are required to be leashed (10’ max) and under control at all times. Dogs are not permitted in restrooms, picnic shelters, off-trail, or as posted. Owners should note that hunting is allowed on the 30 acre peninsula extending to the east on land that is leased from the state. Leader dogs for persons with disabilities are permitted in all areas at any time.